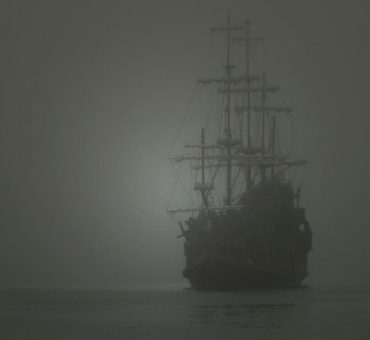 Last week we talked about ghost ships above the water, so it’s only appropriate to talk about mysterious and scary creatures under the water – mermaids. When you think of mermaids, if you think of cute little sea-shell adorned Disney princesses, you’re swimming in the wrong sea. Mermaids, the ones we’re going to talk about, are anything but adorable and charming. They are the stuff of nightmares for sailors all around the world. On the website, Ancient Origins we learn about “The Bizarre Tales of Four Lesser Known English Mermaids.” Imagine my surprise to learn that there are lesser known mermaids, I didn’t know there were greater known mermaids. (See what research does for you!) But I digress. Let’s get to the stories. 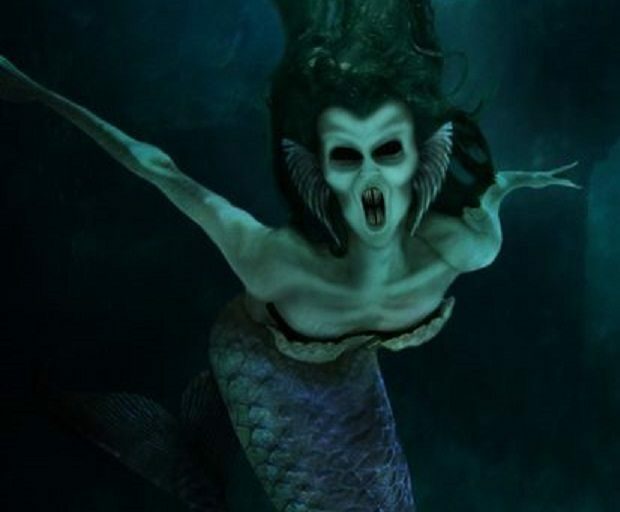 “While the northern Scottish islands of Shetland and Orkney could be called centers of European Mermaid folklore, in 1737 AD a bizarre event occurred in the southern English waters near Exeter. It would haunt eight fishermen for their entire lives. Eight different witnesses all agreeing to the same story, all interviewed independently and all verifying each other’s accounts. Makes you wonder, doesn’t it? “Then, in 1812 AD, in Exmouth near Exeter, a fisherman called Mr. Toupin and his crew claimed, “to have heard music which appeared to be coming from a creature which was human-like, with a fishtail.” This is more in line with the classic mermaid tales, which were called ‘sirens’ after their legendary singing at fishermen, often luring them to their watery graves. Yum! I bet Mr. Toupin was a fun date! Whether it’s being tossed boiling fish or being knocked down and killed, if you’re a mermaid, you probably don’t want to hang around Exeter. These next stories are in places you don’t generally link with mermaids – ponds rather than oceans. These stories both take place at the northern end of England, in the Peak District. The Mermaid’s Pool is situated just below Kinder Scout in the High Peaks. It’s a saltwater lake, which is rare because it’s so far inland. But perhaps that’s the reason it’s attracted a mermaid to its depths. So, let me get this straight. You go bathe in a freezing cold pond in the early spring in the middle of the mountains on the off-chance that a mermaid will look at you fondly and offer you eternal life? And, if she happens to be in a nasty mood, which I would be if some idiot came bathing in my pond in the middle of the night on Easter, you end up drowning to death. Who does that? The next “pond” story takes on more of a classic “Little Mermaid” spin, well, with a much darker ending than happily ever after. The story states that the mermaid came to Black Mere Pool, on the south-western tip of the Staffordshire Peak District, hundreds of years ago with a sailor from the nearby town of Thorncliffe. It sounds like it was true love, but the problem with an immortal falling in love with a mortal is that eventually, the mortal dies. According to legend, once her sailor died, the mermaid was angry. She couldn’t go back to the sea, and she wasn’t happy living in the lake, so she haunted the lake, seeking revenge for her lover’s death. There are two different explanations for the mysterious mermaid that haunts the lake, other than the old legend. One explanation happened in 1679 AD when a woman peddler was dumped in the pool by a local serial killer. So, instead of a mermaid, it is a woman peddler who is haunting the lake. Ancient Origins suggests another explanation, “Another darker mermaid tale surrounding this lake tells of a local man named Joshua Linnet, who was rejected by a beautiful young woman. Unable to deal with his pain, he accused the woman of being a witch. He managed to convince the local people to drown her in Black Mere Pond and as she was drowning, the young woman cursed Joshua. All in all, I think I’d probably avoid swimming in the waters of Black Mere Pond, just to be on the safe side.